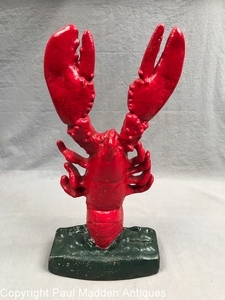 Antique cast iron Lobster Doorstop circa 1925. This is one of the rarest doorstops and my personal favorite. Old repair and repaint, otherwise great condition. Measures 12-1/2" tall.